I recently finished and published my fourth personal finance book. My last book, The Sudden Wealth Solution, was aimed at a very specific (and narrow) target. A couple of years ago I was working with a 22-year-old client who received a large lawsuit settlement. He admitted that he didn’t know very much about money, taxes, or investing and that his was nervous about being responsible for so much money. He was thirsty for knowledge and asked for a recommendation for a simple book that would give him a brief introduction to the world of personal finance. “No problem,” I said, assuming there were dozens of great options from which to choose. Well, a week later I could still not find anything even remotely close to what I knew he needed. Instead, we decided to have weekly money coaching sessions where I would take a concept and do my best to explain it as simply as possible. I enjoyed doing this so much I decided to write a book based on these lessons. That book, is Get Money Smart: Simple Lessons to Kickstart Your Financial Confidence & Grow Your Wealth. Up to 90% of sudden wealth is lost according to research. Why? What makes sudden wealth so different and so fleeting for so many people? And more importantly, how can you avoid the unforeseen dangers and mistakes even the most money-smart and sophisticated people often make? Sudden wealth is a roller coaster ride of emotions – from the highest highs to the lowest lows. Sudden wealth is often portrayed as creating dire consequences for its recipients, but it can be an amazing opportunity that improves your life and those around you. I’ve worked with enough sudden wealth clients over the years to see patterns – what works and what doesn’t. With proper guidance and a willingness to stick to the 12 Principles outlined in this book, you can avoid the common pitfalls that so often destroy money, and instead transform your sudden wealth into lasting wealth to create a better life for yourself and others. What does sudden wealth and surviving a disaster have in common? This one idea can help preserve your money for generations. You might be surprised about the places you shouldn’t look for an advisor. Visit suddenwealthsolution.com to learn more. Transform sudden wealth into lasting wealth. You sleep (hopefully) for 8 hours. You work (at least) 8 hours. What are you doing in those remaining 8 hours of your day, and more importantly, what are the other 8 hours doing for you? To the bleary-eyed worker who doesn’t have time to stop and catch his breath, the idea of having 8 hours may sound absurd. If that’s you, this is your wake-up call. THE OTHER 8 HOURS provides a blueprint that will help you carve out more time in your day and find the inspiration to spend that free time in a more productive way. Whether you want to pay off debt, make more money, start a business, develop a hobby, write a blog, or write the next great American novel, Robert Pagliarini will get you closer to living a richer, more fulfilled life. GET MORE TIME: Chances are you are overworked, overscheduled, and overstressed. There’s too much to do and not enough time. You can create hours of additional free time you never knew you had. GET MORE MONEY: Traditional financial advice has likely left you frustrated and stuck. Pagliarini introduces new, highly-effective yet unconventional strategies. GET A LIFE: In order to “get rich” you have to “get a life.” The other 8 hours ultimately determine your happiness and net worth. With anecdotes and inspiration from many who have taken control of their other 8 hours, plus hands-on tools for getting started, minimizing risk, and maximizing success, you’ll discover new ways to radically improve your life both personally and financially. Isn’t it time to recapture your time and your life? Increase your human capital to live a fuller, richer life. In six short days you can and will experience a total financial transformation! There are truckloads of investing and personal finance books available. What makes this one different? You’ll learn how to develop a compelling financial vision for your life, quickly put your savings on autopilot, maximize your success by investing with a purpose, survive when disasters strike, and protect your loved ones in a way that’s simple, effective, and fun. This isn’t just another personal finance book–one that rehashes the same tired financial rules of thumb and glib investment advice. 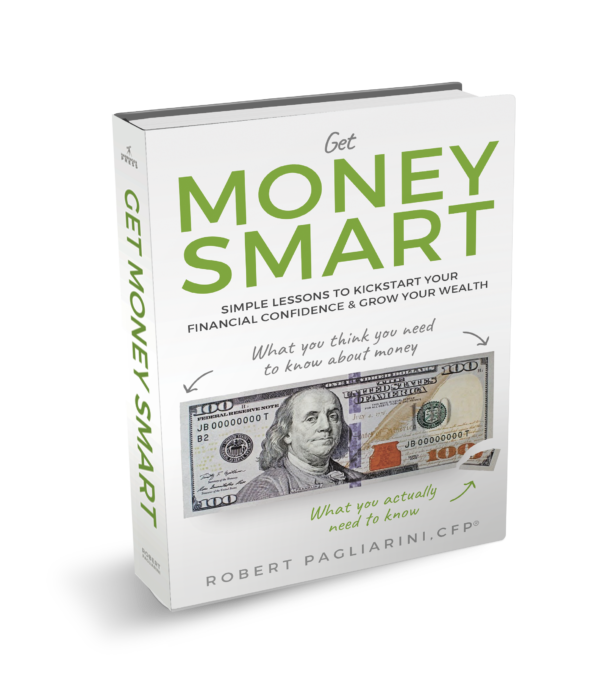 Financial Motivator Robert Pagliarini provides specific guidance that cuts through the “financial fog”–complex jargon and wishy-washy advice–that makes it hard for people to understand and implement positive financial changes in their lives. More than a book, The Six-Day Financial Makeover will not only show you exactly what you need to do to radically improve your finances, but it will also help you easily implement the advice… in just six days! Develop a compelling financial vision for your life.